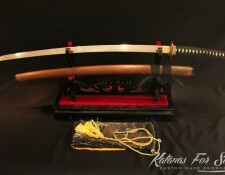 The Katana is a classic Japanese sword. 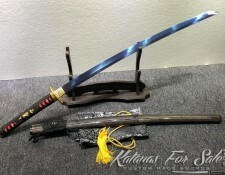 The Samurai were the ones who utilized this in battle. 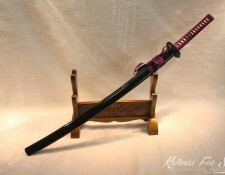 The sword had a strikingly unique exterior. Its blade had an arch and was singe-edged. 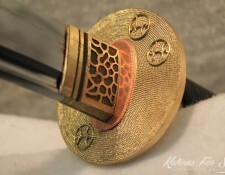 Compared to other swords of that time, the Katana Tsuba either had a circular or squared shape. It was the Samurai’s sign of his caste. It was a weapon that constantly reminded him of what his obligations were, his rights, and who he was. 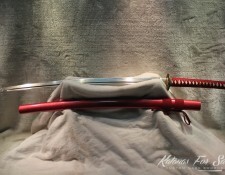 During the pre-industrial period of Japan, the Katana was not just a sword. The Samurai treated this as their heart, soul, and a representation of themselves. 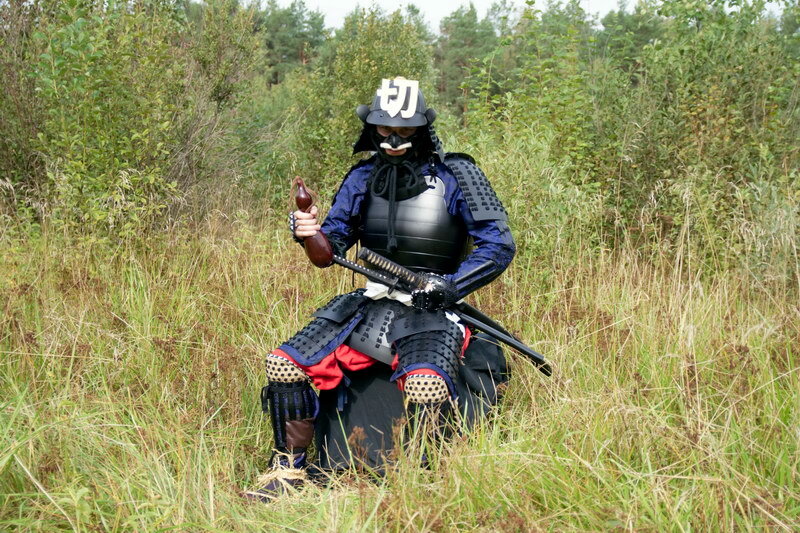 Because of this, a large portion of the Japanese culture revolved around the Samurai and their Katana. 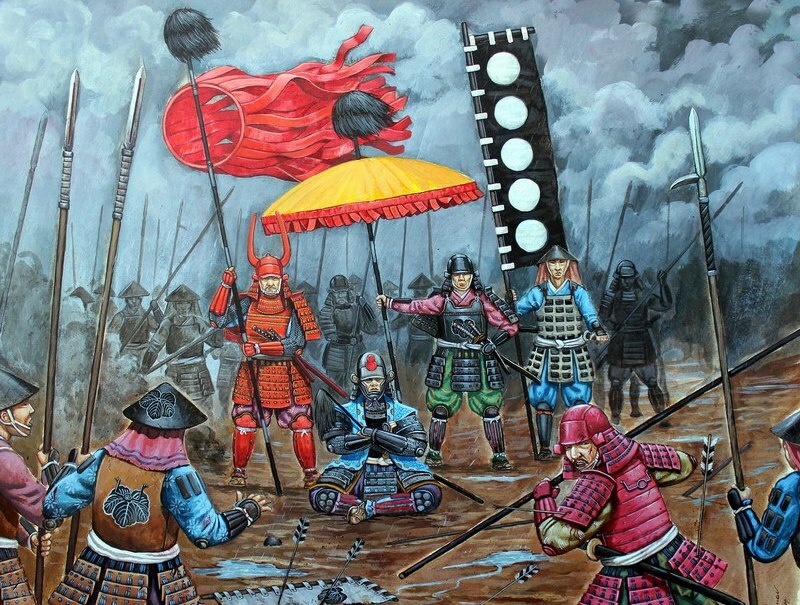 In ancient Japan, these warriors were the only ones who had the privilege to wield the sword. This is because the weapon symbolized their social position and personal honor in society. 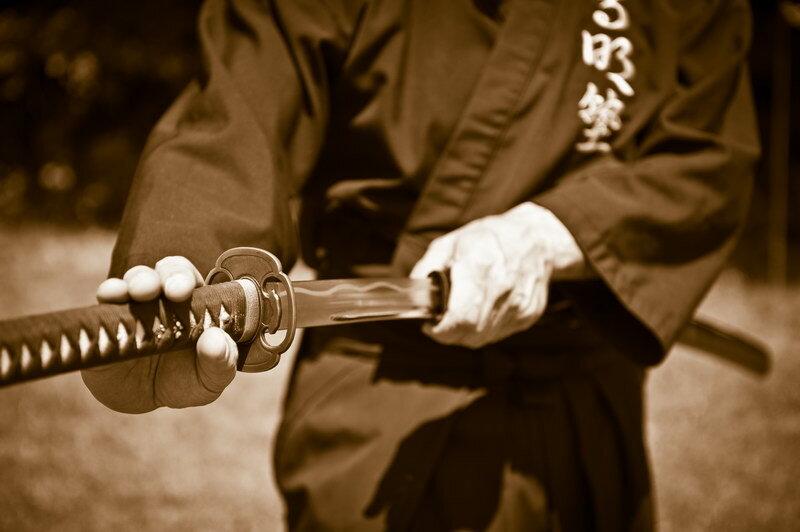 The classic sword of the Japanese Samurai was referred to as the “Soul of the Samurai”. It was also one of the deadliest edged-weapons used in history. Despite its prominence, the true origins of the sword are still unknown. 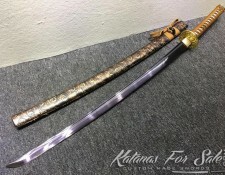 The Katana exhibited a mix of both Japanese and Chinese craftsmanship. 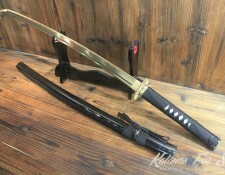 The sword had a distinct exterior: it featured a single-edged, arched blade with either a squared or circular guard, and it also accommodated double-handed wielding. 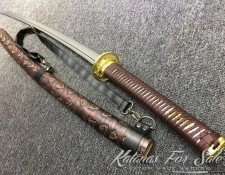 To a Samurai, the Katana was a weapon and a vital symbol. 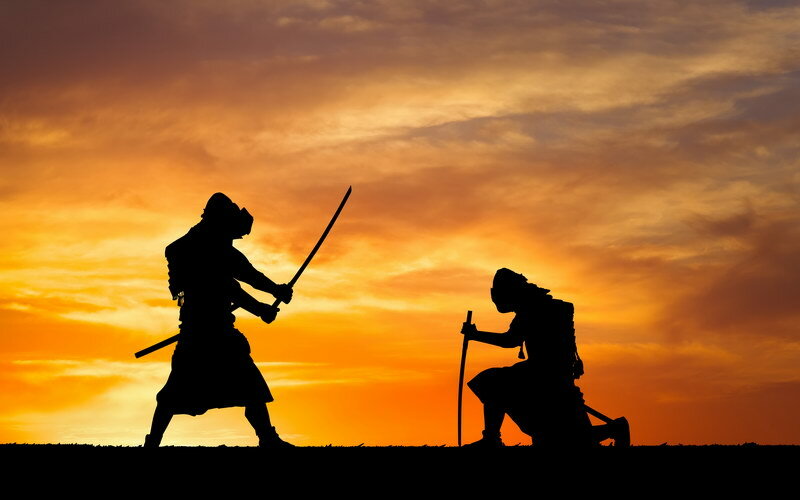 The relationship between a warrior and his sword has never been better described than the words of Tokugawa Ieyasu, Japan’s greatest shogun. He was the person who advised his successors that the sword was a warrior’s soul. 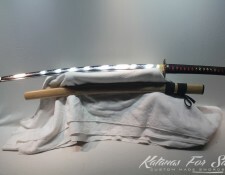 The Katana was a very important element of a Samurai’s life. Because of this, a lot of these warriors regarded it as their soul’s extension. 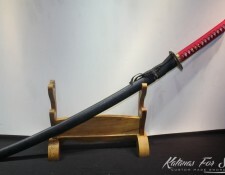 When a young Samurai was born, a sword had to be in the room before birth; this would be his first Samurai blade. When an old Samurai passes, a trusted individual would place his sword by his side. There was a belief that the warrior could wield this even in the afterlife. 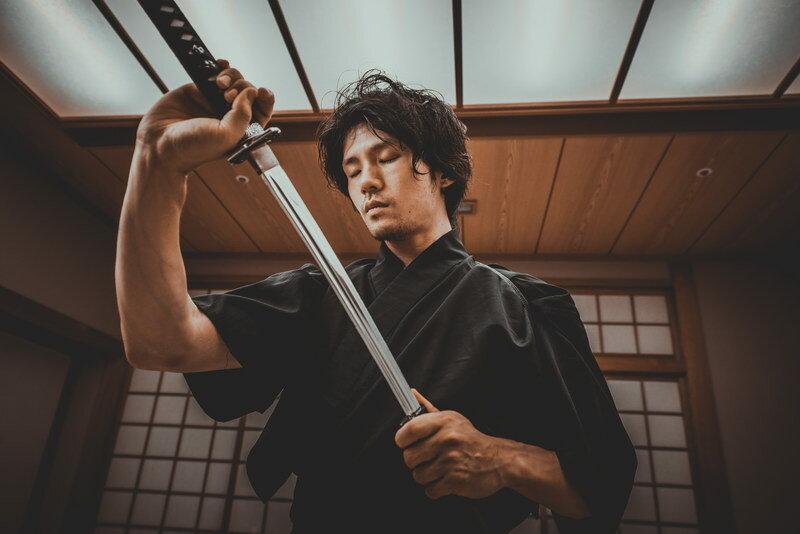 As for the Daimyo – a powerful feudal lord during ancient Japan – he believed that even after death, he could rely on the strength and skills of a Samurai to protect him in the afterlife. No one would ever see a Samurai without his sword. It did not matter whether he was in full armor or in everyday wear; he would always have his blade with him. 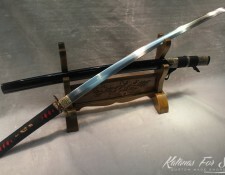 In fact, one of the most precious gifts a Samurai could receive was a sword forged and crafted by a celebrated master. 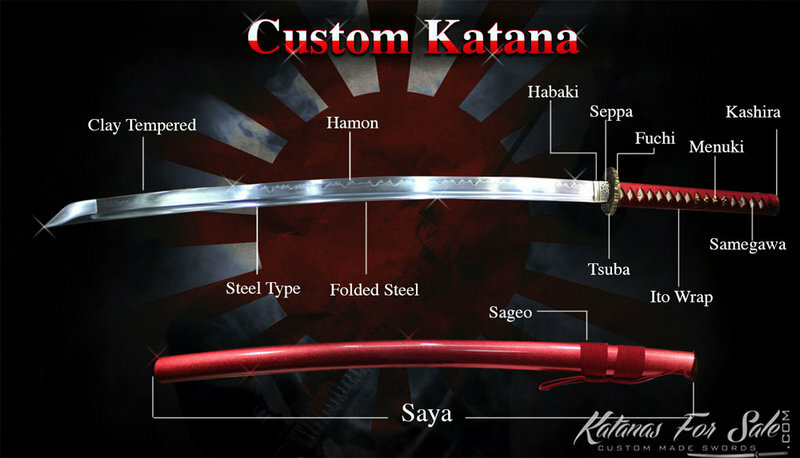 The Katana, when thrusted into the Samurai’s belt, would inform everyone that the owner was a true Samurai warrior. The sword also acted as a protector between the wielder’s birth and death. 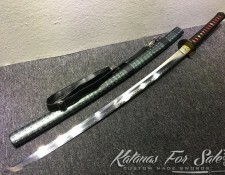 The Katana dates all the way back to more than 1300 years ago. Its most significant historical period has four different phases. These included the Koto period (pre-1596), the Shinto period (1597 to 1876), Gendaito period (1877 to the end of The Second World War), and the Shinsaku period or the modern era. 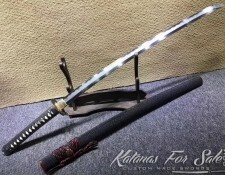 The very first Katana featured a straight and double-edged blade made from iron. 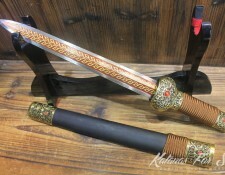 The Chinese swords were the basis of the Katana. At the end of the 10th century, cultural ties were cut between the two countries. It was all due to the Japanese wanting to preserve their own class divisions in society. Cutting ties with the Chinese eventually resulted in the military warriors protecting society. This led to the birth of the Samurai. Although there is very little evidence of this, Japanese myths recognize Amakuni as the father of all Samurai. Amakuni was a known swordsmith. 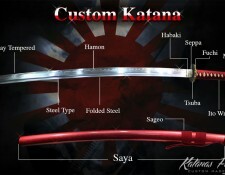 He was also responsible for improving and developing the Katana’s design. 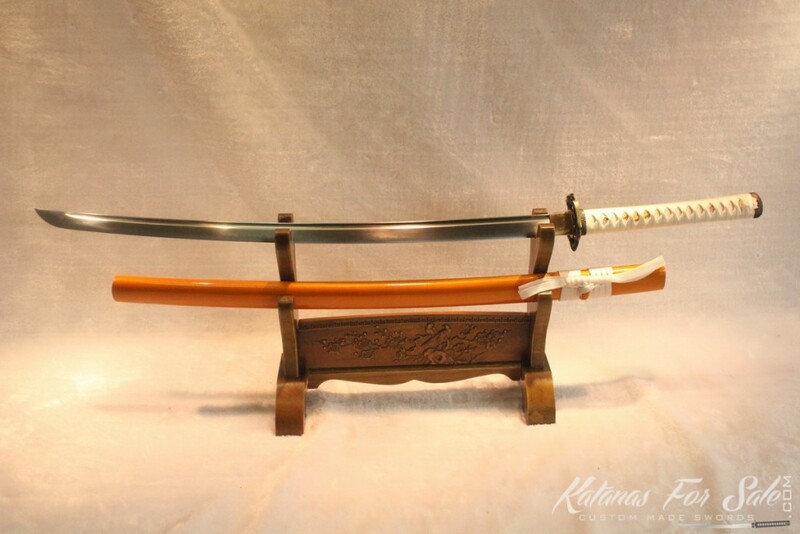 The Kamakura and Muromachi era are two of the most vital periods in the history of Samurai swords. The exact time frames of these periods are still being debated, but the period from the years 1185 – 1336 is considered as the Kamakura while the Muromachi was around 1337 – 1573. There were a lot of invasions in Japan during these periods. As a result, effective swords were necessary to successfully ward off invaders. 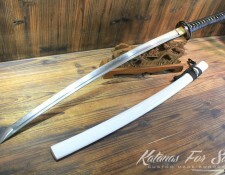 During battles, the Samurai found that it was extremely challenging to draw straight swords from its scabbard, especially when they were on horseback. 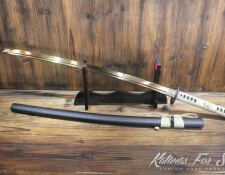 A number of smiths crafted a Katana sword with an arched blade. This was during the Muromachi era. 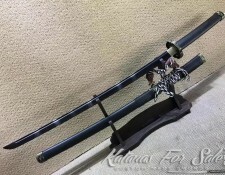 The Katana was more functional especially for battles on horseback. Because of the design and excellent cutting angles, the Samurai were able to draw their swords easily. This also allowed them to slash their opponents with ease in one swing. 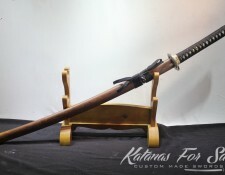 Traditionally, swordsmiths crafted the Katana using Tamahagane. 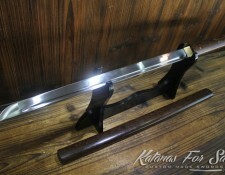 This is a special kind of Japanese steel that is made from a classic smelting method. The process results in a severally layered steel with varying concentrations of carbon. This traditional process aids in removing any impurities. It evens out the steel’s carbon content. Here, the smith starts by folding then welding the steel pieces a couple of times. This is to work on most of its differences. The process results in a block of steel that is drawn out to shape a billet. 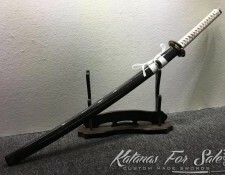 The Katana won’t have a curve during this stage. Differential hardening or quenching gave the blade its slight curvature. Tsuchioku was a process wherein the smith carefully coats the blade in layers of wet clay slurry. 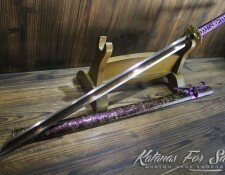 This is a special creation that is unique to each swordsmith. It is made of water, clay, plus any or none of rust, ash, or grinding stone powder. 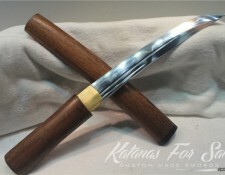 The swordsmith coats the blade’s edge with a thin layer than the spine and sides of the sword. After that, the blade undergoes heating and quenching in water. 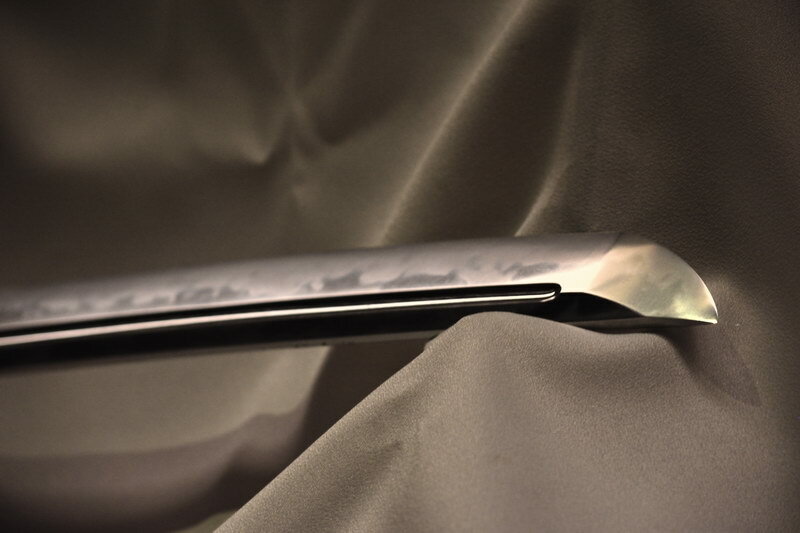 The slurry makes the blade’s edge harder and curved because of the density difference of the steel’s microstructure. Heating the steel over 750°C and has 0.7% carbon content brings it into an austenite phase. When it undergoes water quenching, the steel cools down. The process turns the structure into martensite. This is an extremely hard type of steel. When austenite cools slowly, the structure turns into a mix of pearlite and ferrite. These two materials are softer compared to martensite. 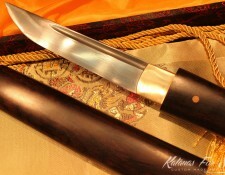 Tsuchioku produces unique lines down the blade’s sides which is the Hamon. It is made distinct by polishing, and each smith’s Hamon style is just as unique. 1876 was the year when Japanese civilization began. This was the time when the Samurai and citizens were prohibited from wielding swords. It was known as the dark era especially among the remaining swordsmiths since they needed to abandon their sword-making business. 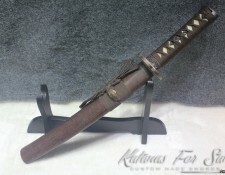 The Japanese army also stopped utilizing the Katana and other Samurai swords during this time. They instead adopted the use of modern weapons coming from the West. The weapons included cavalry blades. After World War II, only a number of swordsmiths in and out of the country were allowed to create swords. During the Meiji era, the Samurai class gradually disbanded. With that, they were prohibited from their special privileges. One of these was their right to wear swords in public. In 1876, the Haitorei Edict forbade everyone from carrying swords in public. However, there were exemptions including the former Daimyo, the police, and the military. 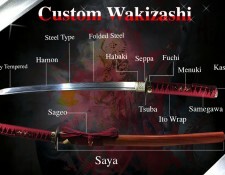 During this time, skilled swordsmiths had difficulties in making a living since the country modernized their military. With that, a lot of them began creating other items. They created tools, farm equipment, and cutlery. 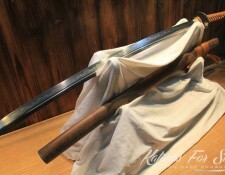 Japan’s military action in Russia and China during the Meiji era helped revive the interest of people in swords. Yet it wasn’t until the Showa that swords were once again produced in large scales. 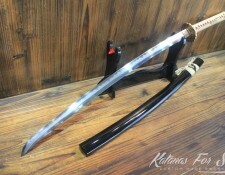 The creation of the military swords or Gunto took place between the years 1875 and 1945. 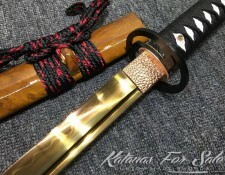 The Japanese military used Gunto. During the military buildup of pre-WWII and throughout the battle, it was mandatory for every Japanese officer to carry a sword. The production of traditionally-made pieces occurred during this era; yet to supply large numbers of these weapons, even blacksmiths with little to no knowledge of crafting such were recruited for production. 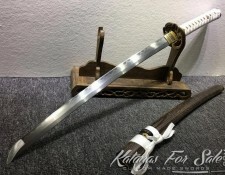 Additionally, the supply of Tamahagane for crafting swords was limited. Due to this, swordsmiths utilized other types of steel. For more production, they used quicker processes of forging. Smiths began using power hammers as well as the process of quenching blades in oil instead of hand-forging these. 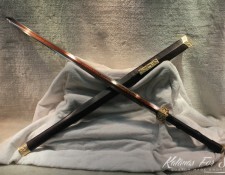 Non-traditionally crafted swords during this period were referred to as the Showato. 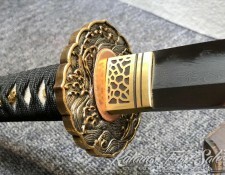 In the year 1937, the government of Japan began requiring the utilization of special stamps on the Nakago of a sword. This was to distinguish the Showato from the traditionally-made ones. 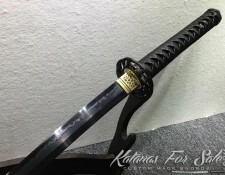 This entry was posted in Japanese Weapons, Samurai History and tagged backup sword, custom wakizashi, great swords, hamon, honor blade, japanese swords, katana, katana for sale, katana sword, samurai swords, shirasaya katana, sword making, swordsmith, wakizashi sword. Bookmark the permalink.